In small bowl, mix orange juice concentrate, brown sugar, cinnamon and cloves. Heat 10-inch nonstick skillet over medium-high heat. Add ham; cook uncovered 4 minutes. Turn ham; brush with orange juice mixture. Cook uncovered 4 to 6 minutes longer or until thoroughly heated. Cut ham into pieces to serve. 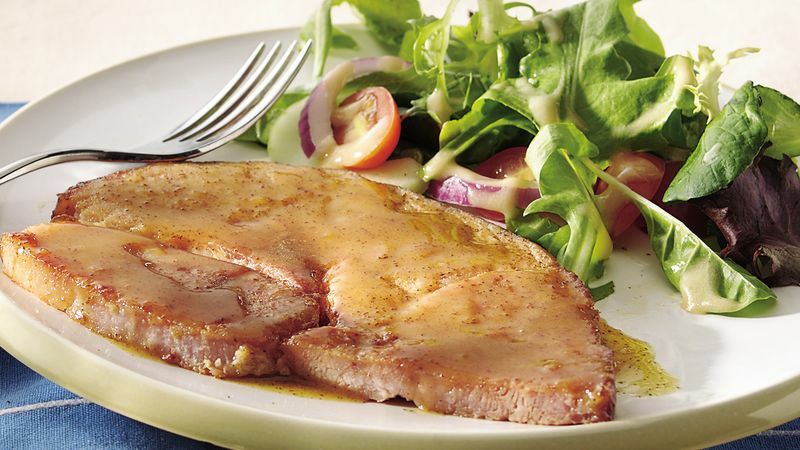 Serve with Mixed Green Salad with Dijon Vinaigrette, p. 72.